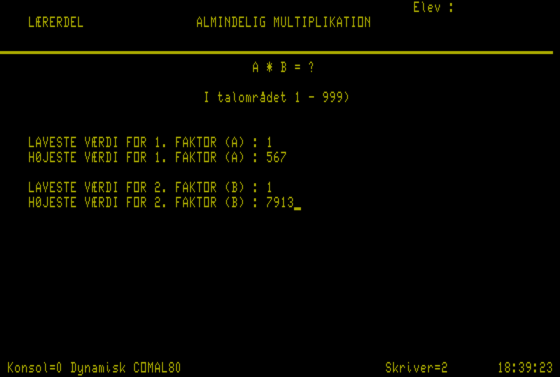 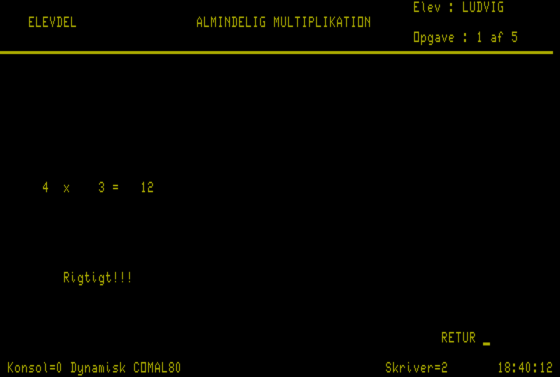 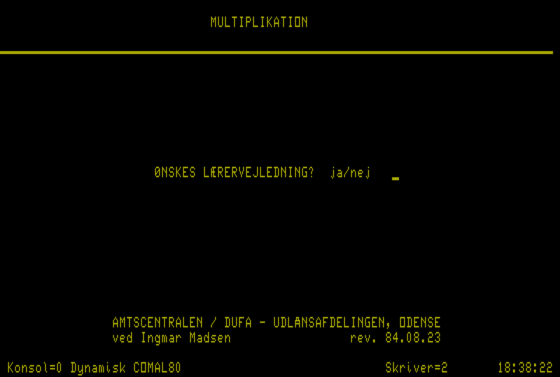 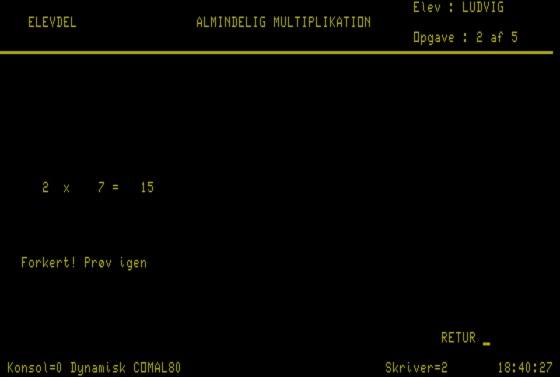 This disk contains DIVISION, a program for training division, and MULTIPLIKATION, a program for training multiplication. 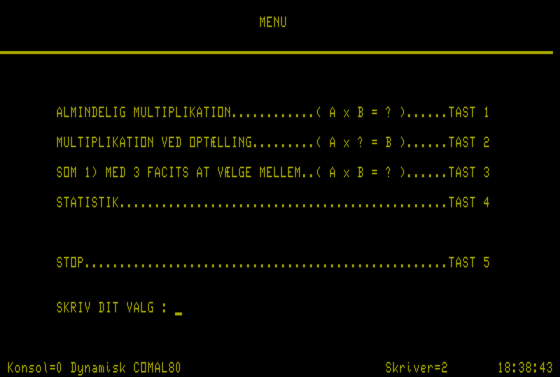 Both programs presents the student various exercises and after answering, a list of the results. 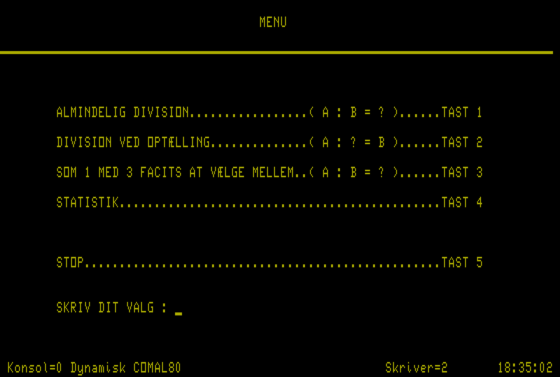 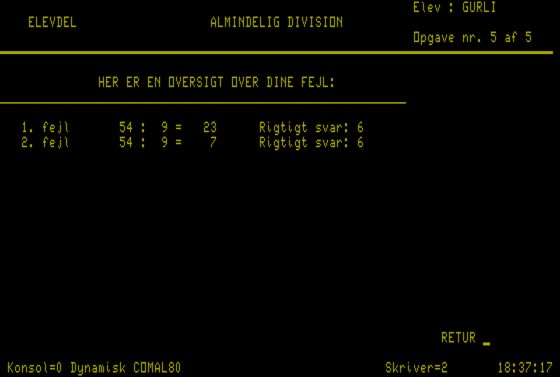 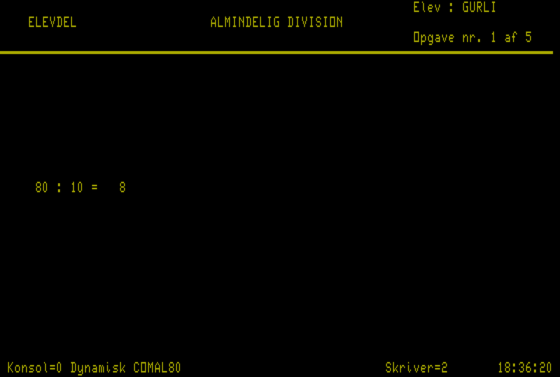 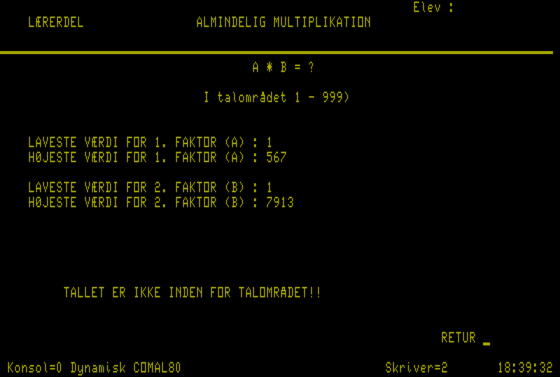 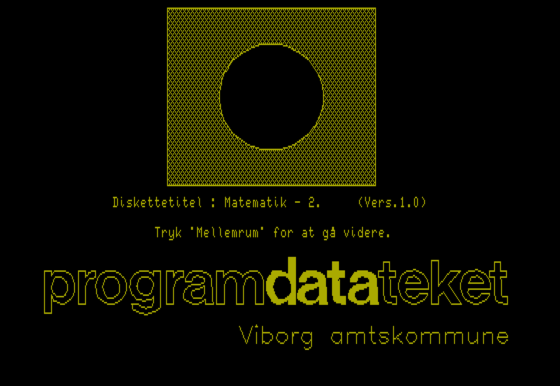 The disk is bootable and was distributed by Programdatateket, Viborg Municipality.